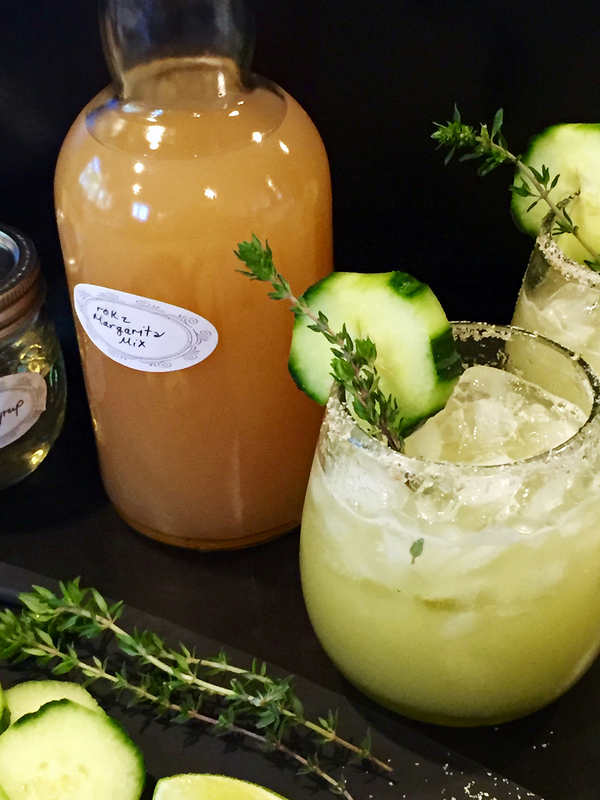 Cucumber and fresh thyme highlight this margarita recipe. Super fresh and perfect for warm weather. Blend two generous cups of peeled, deseeded, and coarsely chopped cucumber with the juice of two limes or three oz fresh lime juice until smooth. Rim two glasses with rokz Citrus Jalapeno salt. Add the sugar, thyme sprigs, 1/2 lime to a cocktail shaker and muddle. Add the margarita mix, a few ice cubes and shake well. Add tequila, Cointreau and one cup of the cucumber puree, give it all a quick shake and strain it as you pour over crushed ice. Hint, there will be cucumber puree left over. Freeze this in an ice cube tray for another margarita day or use in a tall glass of water as an amazing and refreshing beverage! 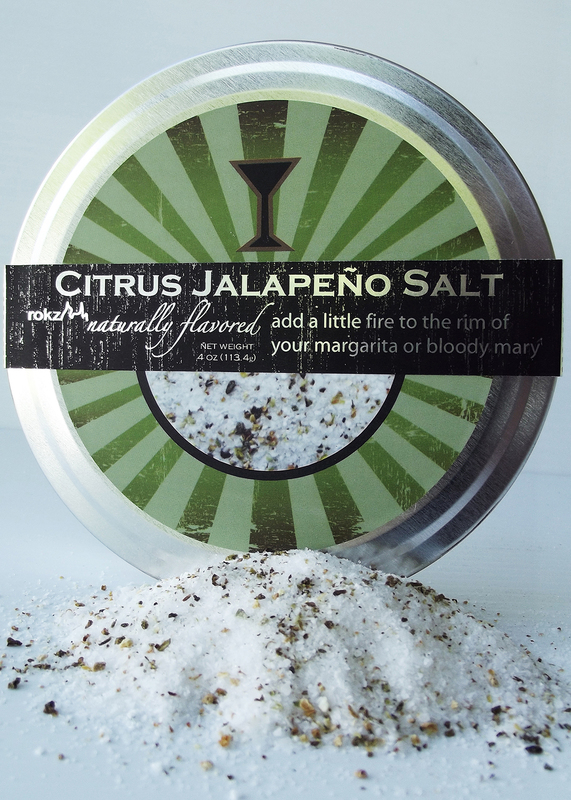 This blend of three citrus flavors and real jalapeno add a kick to the typical margarita. Margaritas will never be the same!